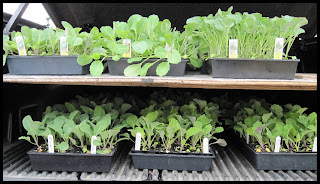 We sent out our first plant order Feb. 21st. White's Meat Market in Cove City, NC. Yeah! Cabbage, Collards & Broccoli Oh My!